I received an email this morning with a video link talking about body language. While this is not about working with horses it is about how powerful body language is. 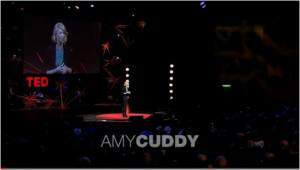 In this video Amy Cuddy a professor and researcher at Harvard Business School talks about how we can change our own body chemistry simply by changing body positions. If you would like to gain more confidence when working with your horse call (325-261-3360) or email me to setup lessons at my place or yours as I would love to help you.